Andrew Luck led the Colts to the team's second straight playoff berth. During the NFL season, I will attempt to guide you to the winner’s circle more often than not. I consider a combination of statistical trends, my own personal player ranking system, and meticulous attention to various wagering techniques that allow me to analyze and formulate a plan of attack each week. The NFL’s second season opens up with a very entertaining matchup of two teams hungry to prove they belong among the elite. Andy Reid will look to ride a stingy, play-making defense, allowing only (19.1 points per game) as well as the most versatile back in the league Jamaal Charles. With 1,980 yards from scrimmage and 19 touchdowns, the Colts defense will get a healthy dose of Charles as Reid attempts to win the time of possession and sustain drives in order to preserve his defense. Making his second-career playoff start and first at home, expect Andrew Luck to look deep early and often. Luck looks to continue his aerial assault, which has seen the Colts average 27 points per game over the last month including a 23-7 win just two weeks earlier at Arrowhead. For what it’s worth, the Chiefs are 0-3 all-time against the Colts in postseason play and 0-5 this year against all other AFC playoff participants. 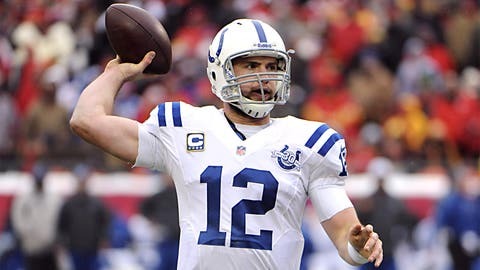 Expect Mr. Luck to continue his NFL maturation as he wills the Colts to their first playoff win under his leadership and puts Indianapolis into the divisional round for the first time since a guy named Manning was running the show. The Saints’ shortcomings on the road tell the story. 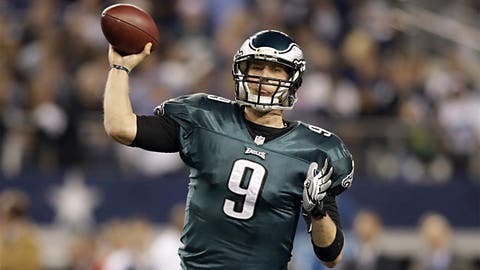 Nick Foles has thrown for 27 touchdowns and 2 interceptions in 2013. New Orleans is 3-5 straight up and 1-7 against the spread, while scoring only 17.8 points per game away from the Superdome. To make matters worse, New Orleans has never won or covered a road playoff game in the history of the franchise. Philly has been absolutely dominating teams at home recently going 4-0 straight up as well as against the spread, scoring an average of 34 points per game with an average margin of victory of 17. Normally I would side with Drew Brees in a situation where he is going against a quarterback making his first career playoff start like Nick Foles, but when you look at the playmakers on each side, it’s the Eagles who have a clear and decisive advantage. Look for LeSean McCoy to have his way with a middle-of-the-pack run defense and Foles to do enough passing the ball as the Saints once again see their playoff dreams dissipate away from home. From a distance the Bengals offensive attack appears to be as good as any in the NFL. However, when you take a closer look at Andy Dalton and his inconsistent nature it becomes hard to put your faith in a guy that threw the most interceptions (20) of any playoff quarterback. The Bolts have been in playoff mode for a month now, ripping off four straight wins to reach the playoffs for the first time since 2010. Can Philip Rivers lead the Chargers to the division round? With the recent playoff runs of the Packers, Giants and Steelers as wild card teams that won the Super Bowl, history has taught us that home field advantage and bye weeks are not nearly as important as coming into the playoffs hot and healthy. Fortunately, these Chargers are both. 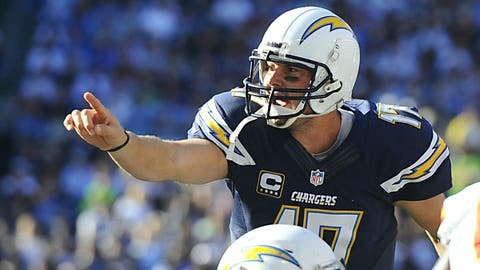 Under the guidance of Philip Rivers, expect San Diego to hang tough on the road and possibly even steal an outright win. This matchup serves as a perfect case for reseeding once the playoff teams have been determined. 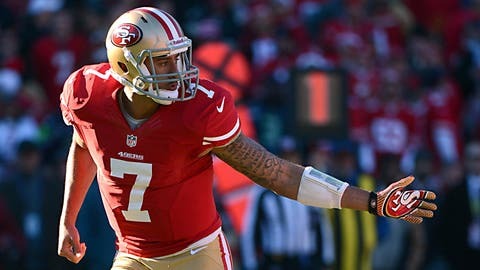 Colin Kaepernick had a historic performance against the Packers in the 2012 postseason. It is a real shame that division winners with mediocre records get the privilege of hosting a playoff game while wild card teams with more wins have to go on the road. Despite the disadvantage, the 49ers appear to be built for a long playoff stay and if any team can overcome the road elements it would be this group. Riding a six-game winning streak, the 49ers seem to have hit their stride and are arguably playing the best football of any team in the playoffs. Despite clutching up when it mattered most, Packers quarterback Aaron Rodgers showed the expected rust of a signal caller who had not seen game action in over a month. If the lifeless Chicago secondary was able to come up with two picks, it is hard to believe that the ball hawks in the San Francisco secondary can’t get their hands on a few themselves. The Packers will struggle to apply pressure without Clay Matthews in the lineup and that should allow the dual-threat abilities of Colin Kaepernick to be on full display. The last time these two teams met in the playoffs, Kaepernick put the entire Green Bay franchise on his highlight reel rushing for a quarterback postseason record of 181 yards. San Francisco has gashed the Packers for 79 points and over 1,000 yards of offense the last two meetings. Jim Harbaugh is smart enough to realize that if it isn’t broken, don’t try and fix it. Expect San Francisco to pound the running game and apply pressure with their front seven as they overcome both the elements and a dangerous Packers team at historic Lambeau Field.